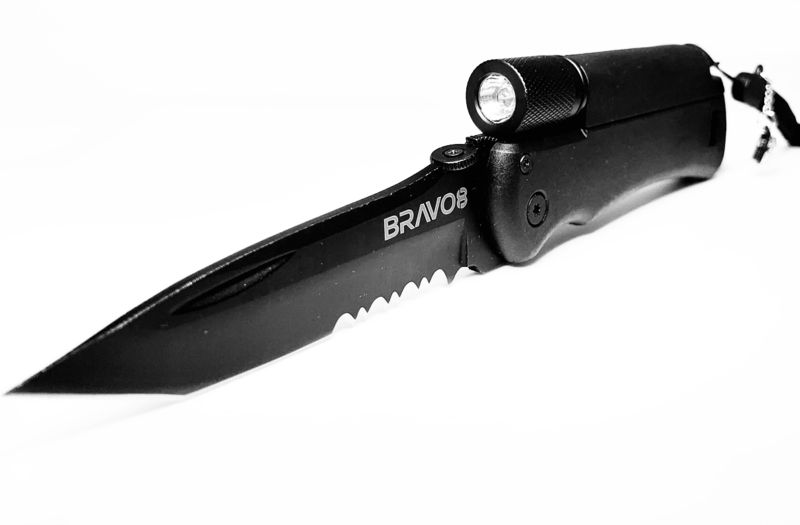 The Original Tactical KnifeLight by Bravo8 was designed with multifunctional use & quality craftsmanship in design. 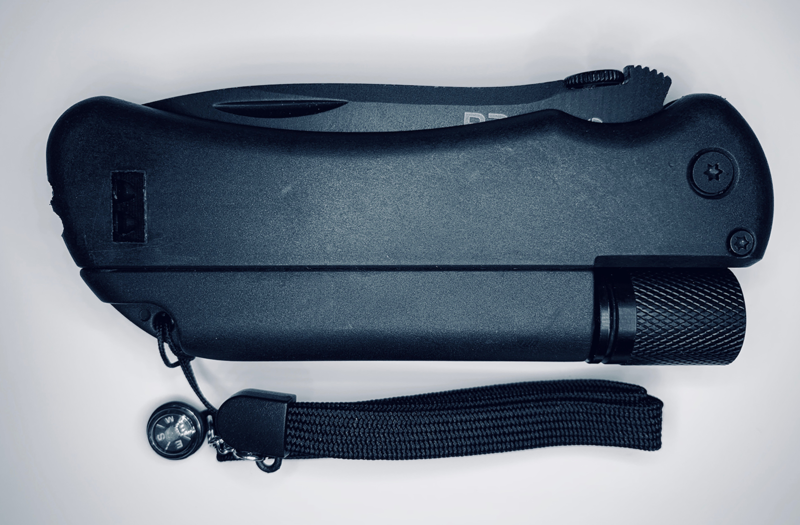 Sleek & convenient for everyday carry, and perfect to have in the glove compartment of your car, the Tactical KnifeLight is perfect for camping, hiking, hunting, fixing or adjusting things at work and for almost anything in your daily use. This incredibly sharp 4 inch steel blade features is high erosion resistant and has a serrated bottom to assist with sawing harder items. 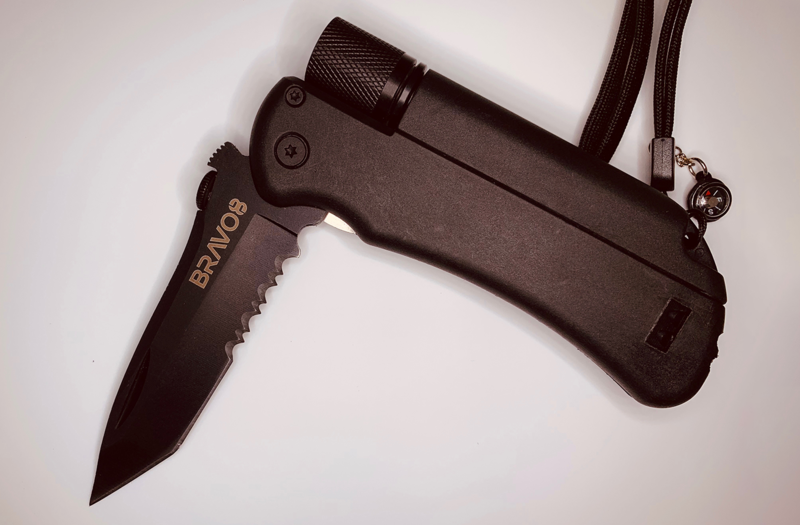 Pocket size & lightweight, it‘s also designed to fit perfectly into your palm & is a must have knife for any emergency situation due to the multifunctional features. 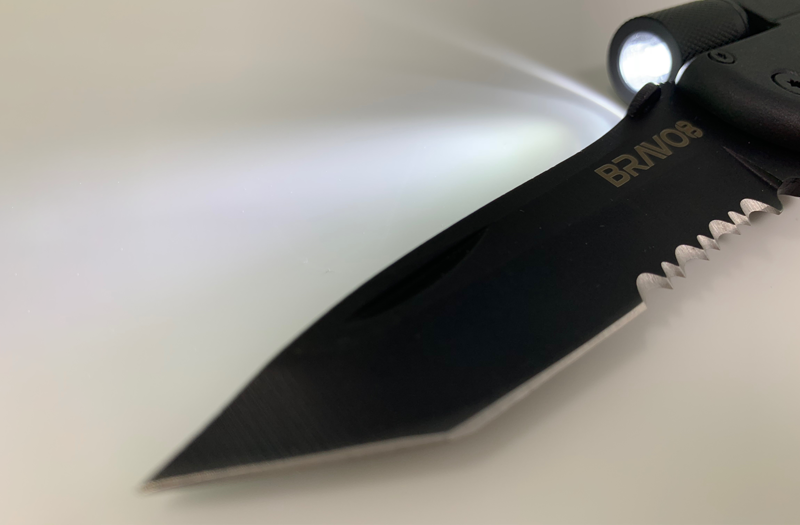 - A Built-In Magnesium Alloy Fire Starter to help to start a fire on a moonless night by simply pulling the fire starter from the base of the knife & striking onto the blade - An important aspect in any survival situation! 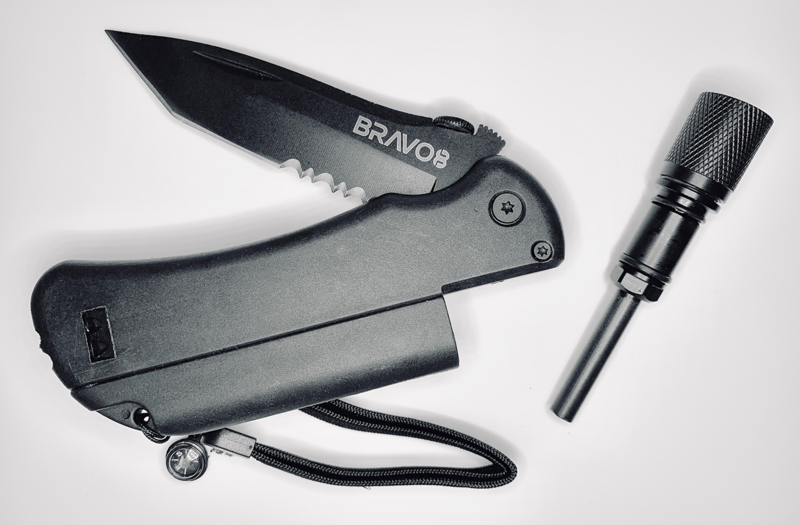 The Original Tactical KnifeLight by Bravo8 makes a fantastic gift for hikers, hunters, campers, military personnel, outdoor adventurers, or even constant travelers. 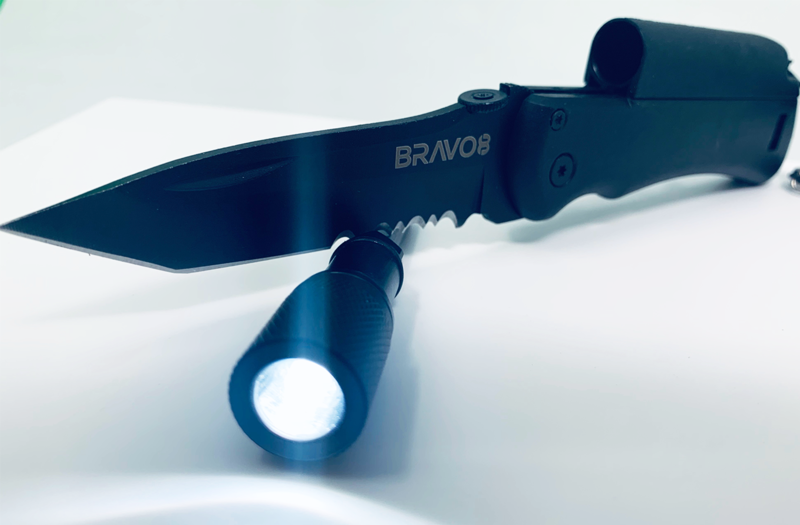 It’s complete universal use makes The Original Tactical KnifeLight by Bravo8 a must have item for emergency conditions and in daily use in general. • Great gift for hikers, hunters, campers, military personnel, outdoor adventurers, or even constant travelers.